Our view at sunset from our camp in Fourmile Canyon on the first night of our paddling trip on Lake Powell/Glen Canyon National Recreation Area last year. 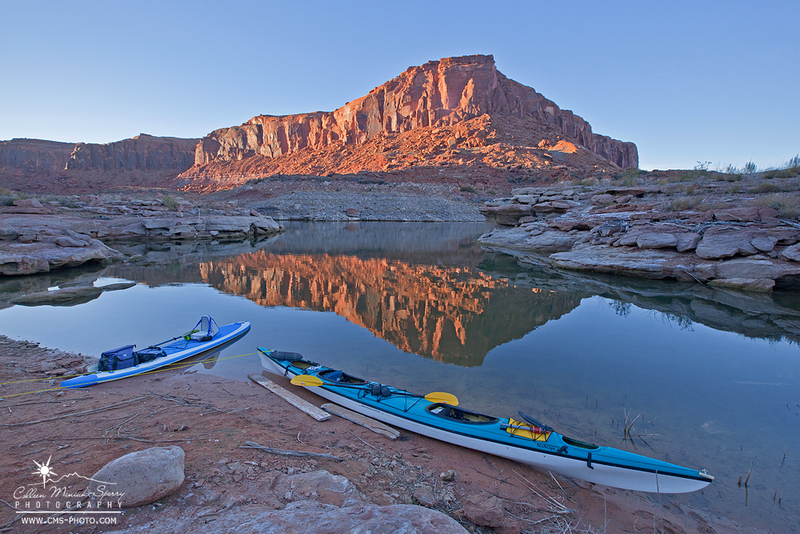 Exactly one year ago today, my Mom and I began our ambitious paddling adventure on Lake Powell from the Dirty Devil launch area in Utah. Although we aimed to reach Wahweap Marina 147-miles down the lake 14 days later, the universe and Mother Nature had other plans for us. After four fulfilling days—and three terrifying hours of paddling against towering cliffs in five-to-six-foot swells in crosswinds —our journey came to an unexpected end after 41 miles. Oh, what a wild year it’s been! To say this challenging experience changed my life for the better would be a massive understatement. During the preparations, the trip itself, and in the 12 months that have followed, I have learned so much about myself, my family and friends, how nature can heal during difficult life circumstances, and the value of living a meaningful life. I’m so grateful things panned out exactly as they did! And for everyone who’s been a part of this incredibly enlightening and transformational time. In hopes of helping and inspiring others, I continue to write almost every day about this personal journey with the goal of sharing this story in my first adventure travel book, currently titled, “Going With the Flow.” As of this morning (when I blasted the Powell Playlist you helped compile last year before our trip), I’ve written over 57,000 words thus far (the approximate word count for each of my published guidebooks) and 10 of the 16 chapters are in really great shape for my editor. Hoping I can have a solid draft ready for edit by the end of the year so I can publish the book in 2017. So stay tuned! And take a minute to think about where you were just a year ago. How much has changed for you? No matter where you’ve been or where you are right now, remember to celebrate life and all that is good in it! I have being in adventure professionally for years. It is true the most we learn is about ourselves e people.